It’s November! That means that we have a lot of new coupons today, so warm up your printer and get ready. As I had hoped a ton of the coupons today will be perfect for Harris Teeter Super Doubles starting tomorrow. 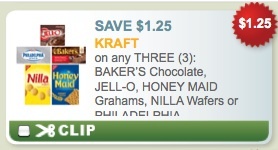 For all the rest of us that don’t have that thrill, these are still great coupons.